Virgin Trains has apologized “unreservedly” for replying to a sexism complaint with even more sexism. The rail company mocked a woman on Twitter after she complained about being called “honey” by a member of staff. READ MORE: Why take a train from London to Edinburgh… when it’s cheaper to fly via Poland & Germany? The embarrassing incident comes on the same day rail ticket prices increased, which is now usual in January. This year’s increase however was the biggest in five years, spurring dozens of protests against the rise by commuter groups and unions at the UK’s busiest stations on Tuesday. Private rail companies are not popular. Senior Labour politicians joined protests over average fare increases of 3.4 percent and season ticket increases of 3.6 percent. The rise, the biggest since 2013, is more than the consumer price index inflation rate and well above average increases in annual earnings. Rail bosses are defending the increase. The chief executive of Network Rail – the body which manages Britain’s rail infrastructure – Mark Carne said passengers would see many of the benefits of investment this year, including the final stage of London Bridge station’s reopening. This will be followed by the upgraded Thameslink train service in May, and the start of Crossrail services by the end of the year. Corbyn was filmed by freelancer Yannis Mendez from the floor of a train where he chose to sit instead of upgrading to first class on his way to Newcastle from London. 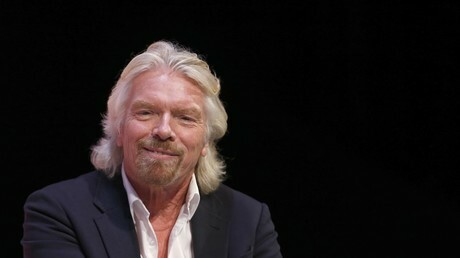 After CCTV footage was released by Branson, appearing to show Corbyn and his team walking past empty seats on the train, he was accused of staging the scene to make a political point. However, the released footage showed the “empty” seats were in fact occupied, with some passengers only visible when they move into frame, or taken up by small children not visible from behind their seats.